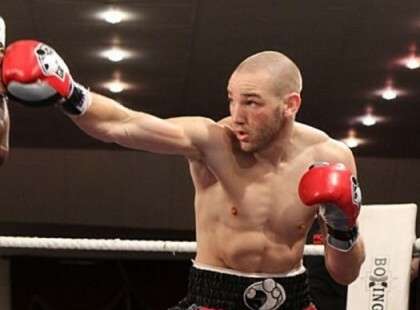 Former light heavyweight World title challenger Blake “il capo” Caparello announced his arrival at 168lbs by putting on an educated boxing display to dominate game Frenchman Affif Belghecham. 21 – 1 – 6 ko’s. Caparello stormed out of the blocks first two rounds landing big punches and stylish combinations however Belghecham’s experience and defence saved him from being blown out early. Belghecham did have his moments in the fight with his relentless pressure, however he was never permitted to string rounds together due to Caparello’s slick defence and clean counter punching style. In this writers opinion, Caparello is one to watch at 168lbs, he has the size and the skills to trouble the best fighters in the super middleweight division.